Good, indeed very good news for chocolate lovers. A new study published in Chemistry Central Journal has shown that cocoa and dark chocolate are the most antioxidant fruit, due to their higher content of polyphenols and flavanols. The study was conducted by researchers dell'Hershey Center for Health & Nutrition that, comparing the nutritional capacity of different types of fruit and cocoa gram for gram, have thus established the supremacy of nourishing cocoa beans. "The cocoa beans - said Debra Miller, the senior author of the study - I'm super fruit that provides a nutritional value that goes beyond their macronutrient composition." 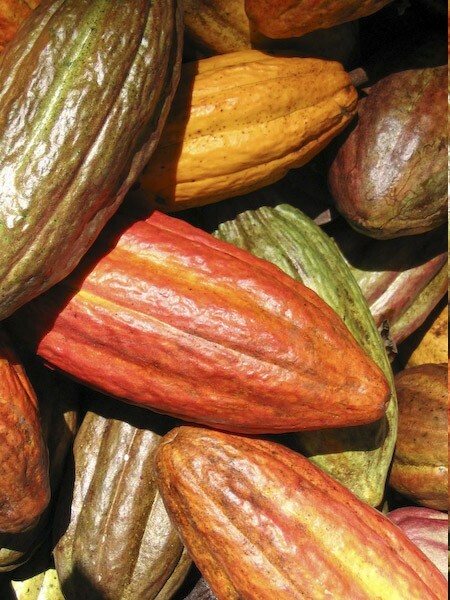 The flavanols are a type of phytonutrients belonging to a broader group of flavonoids: are naturally contained in the cocoa, but the majority is dispersed in the machining process for obtaining chocolate. Among the properties of their recognized, to maintain healthy blood vessels and lower the risk of platelet aggregation which causes coagulation of the blood. Polyphenols are natural antioxidants found in plants and may be useful in preventing oxidation of lipoproteins and against free radicals, among the beneficial effects attributed to them, those in the cardiovascular, cognitive level and against tumor growth. The researchers compared the antioxidants contained in cocoa beans, dark chocolate, hot chocolate and different kinds of fruits and fruit juices, and found that cocoa and chocolate have antioxidant capacity higher and higher amounts of total flavanols and polyphenols than fruit , fruit juices and hot chocolate, in which most of the beneficial substances are altered by the process of preparation. While between chocolate and cocoa, chocolate wins, because the process cocoa processing (alkalinization), leading to the production of tablets and spreads, dissipates part of the beneficial compounds.